In comparison to it's Nordic neighbours of Sweden and Finland, Norway has never been an established rallying country in terms of international success. Main reason for this was a fatal accident in mid-1970's which saw rallying banned. John Haugland is the most famous norwegian rally driver and his feats with Skodas took place in 1970's. This lack of heritage never stopped Petter from having high ambitions and for an outsider, his quick ascension to the top seemed so easy. Petter started his motorsport career by becoming norwegian champion of radio controlled cars in 1987. From toy cars he moved to real ones, first in autocross and later, after couple of national titles in autocross, in rallying. First proper rally with proper car was when he Petter loaned his brother's Toyota Celica for national rally at the end of 1996. And promptly rolled the car, completely wrecking it. This did not kill the spark, quite the opposite and young man marched into a bank, got huge loan and bought a new Celica. 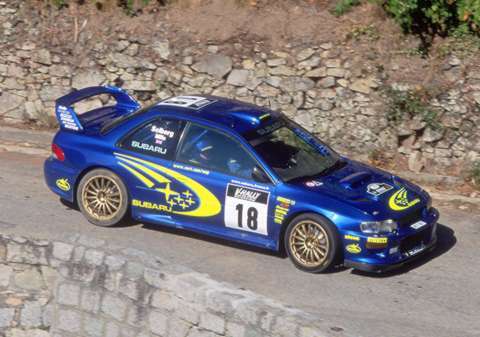 In 1997 he used the car to a good effect, winning national hill-climb championship and was fifth in national rally championship. For next year local Toyota imported got him newest Celica and Petter won most of the rounds on his way to national rally title. He also started on his first WRC event in Sweden, finishing 16th overall. What happened next was beyond his wildest dreams. True to his nature Petter had sent a video of himself to all WRC team managers, quite a stunt from young driver with only two seasons under his belt. In one way or another, Ford decided to sign him for five years, starting from 1999. This took rallying community by complete surprise but made perfect sense for Ford. Petter was highly promising but inexpensive and low-risk investment. 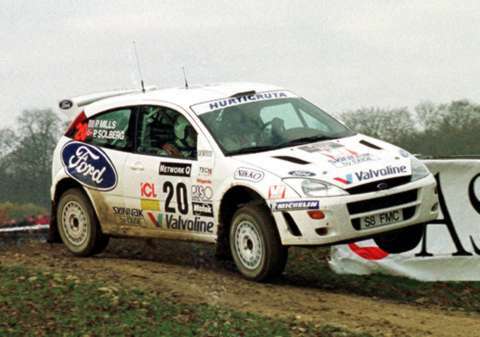 Supporting team leader Colin McRae and number two Thomas Radstrom, Petter had relatively modest programme for 1999. His big break came when Thomas was unable to start Safari Rally due to injury and hastily Petter was ordered to take his place. Young man finished fine fifth overall. Further starts followed and he finished all rallies he started. 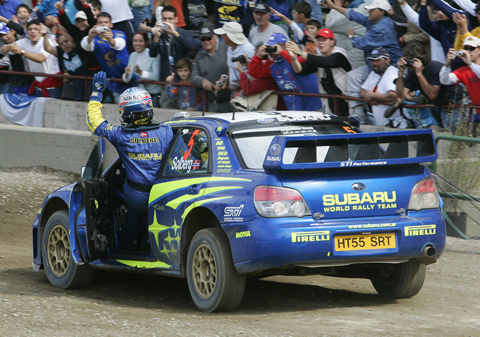 Given that he had five year contract with Ford, Petter's move to Subaru in mid-2000 was a complete surprise to everyone. There good finishing record was smashed and during most of 2001 Petter spent in a ditch after a mistake of his own. Maturity has to come somehow and 2002 was already better season for him, culminating to his first win and runner-up position in championship. As a person, Petter is flashing show-man, full of energy, quick with a joke and it is no wonder that he is so liked both in his native Norway as well as all over the world. 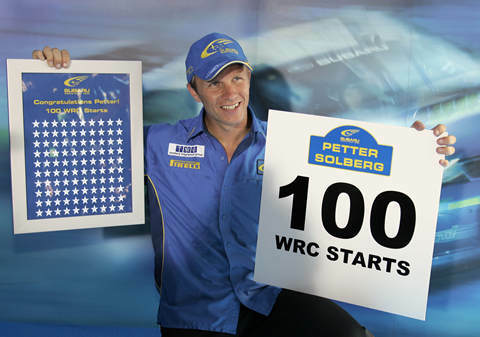 Petter reached 100th WRC start in 2006 Acropolis. Hanging half-outside the car while driving it has become Petter's hallmark feat.